For the first time in the election history of Egypt, the Middle East and the Arab Region, a digital initiative sets out to follow and evaluate democratic change. 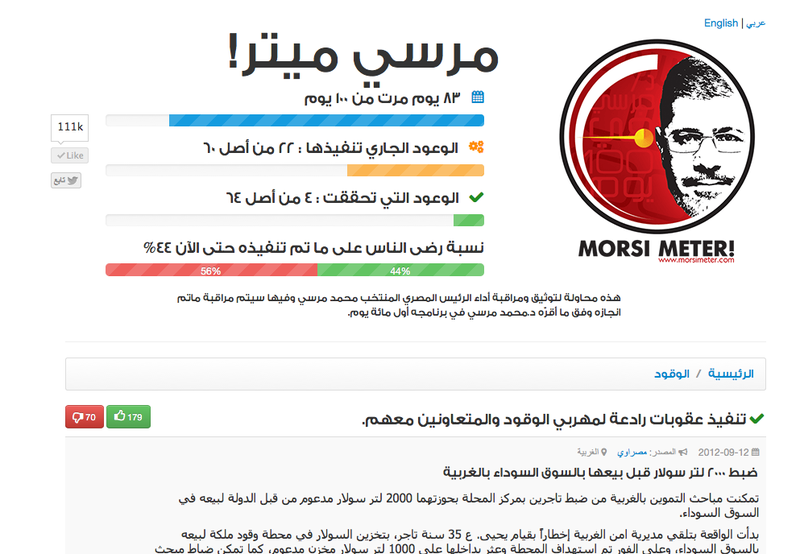 MorsiMeter, an interactive website, attempts to monitor the performance of the recently elected Egyptian president, Mohamed Morsi, by documenting what has actually been achieved in contrast to campaign promises. 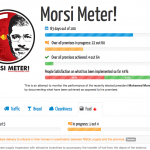 MorsiMeter has itemized the list of Morsi’s ambitious election commitments and plans to track his progress in achieving them. Content categories include Sanitation, Security, Bread, Fuel, and Traffic. When and if Morsi completes a self-assigned task, the site will mark the commitment as fulfilled. 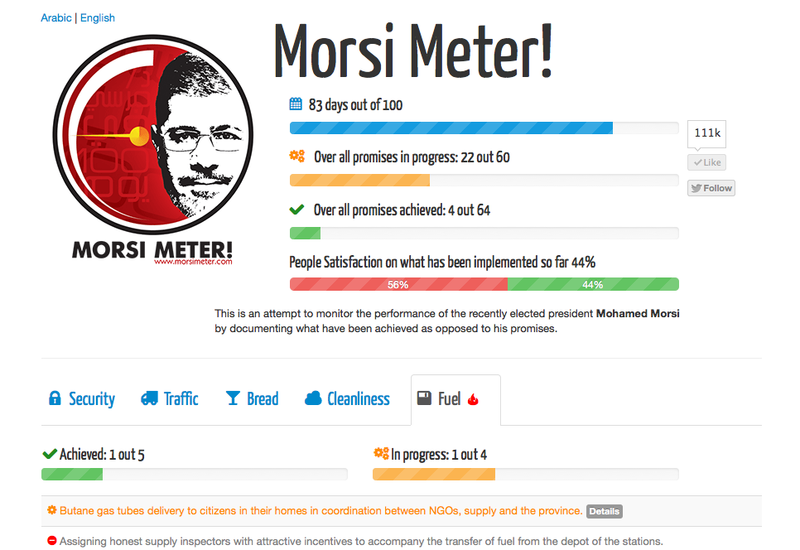 A tracking form in the header shows what percentage of Morsi’s commitments has been completed, alongside a countdown of the first 100 days of his new government.